Show them how you feel. The Modern Love arrangement is a beautiful display of 9 imported roses. The roses are nestled inside but are visible through the clear plastic acrylic box. It’s beautiful. It’s clean. It’s unique. 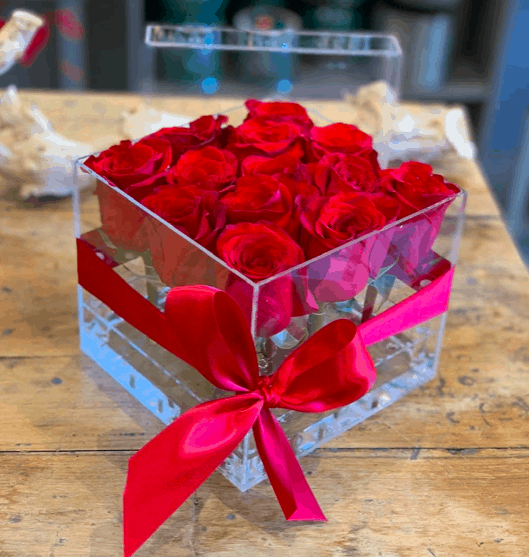 The box not only is a way to transport your message, but also doubles as a vase as the roses are in water inside the box. No need to unpack! Just open the lid and enjoy the fragrance and beauty.